Aaron Ross was an early employee at Salesforce and created a sales process that added over a billion dollars in revenue to the company. Aaron is know most known for writing a book called predictable revenue that became the sales bible in Silicon Valley. His ideas on sales transformed businesses around the world and made him well know in the software industry. I recently caught up with Aaron to chat about the challenges of SaaS sales, how big companies are transitioning to a subscription business model, and to talk about his new book with Jason Lemkin, From Impossible to Inevitable. If you like what you hear, check out more episodes on SoundCloud. If you rather read, here’s a full transcript of the interview. Hi, this is Leo at Saasmetrics. Today I have the great pleasure and honor to talk to Aaron Ross, Aaron thank you very much for your time. Hey, nice to meet you. Glad to be here, thanks Leo. It’s my pleasure. So I don’t think you need to be introduced to our audience. You’re well known in the SaaS space and the software industry, but why don’t you give a little bit of background on yourself and we’ll start from there. I’d be most known for writing a book called predictable revenue. It’s called the sales bible of the Silicon Valley now. Now if you haven’t heard of it, it talks about my story and some big ideas in sales. So, I started an internet company and it failed. It raised 500 million in venture capital, it didn’t work. One of the reason was because the CEO didn’t know how to build a sales team, and I didn’t know how to build a professional sales organization. I hired a VP of sales, but when it wasn’t working I didn’t know what to do. So I shut down the company, and thought if I do this and start another company, I need to know how to sell as a CEO and professionally sell and build a team. So I got a job at sales force, the lowest sales job they had, which was the only sales job they had, and there are about 150 people. I like to say I started it early but not early enough, I still have to work, and I ended up creating an out bound prospecting system called “cold calling 2.0” to generate all the sale pipeline we needed in order to hit our new sales goals. So to help doubling their salesforce.com’s growth. By now its been about 10 years adding about a billion dollars in revenue. Sales force. So that’s the book. When I get emails saying “hey I read the book, it transformed my business and ideas”. There’s three or four big ideas around it. The one around specializing your sales people is probably the simplest and most important. So the book covers a lot about lead generation and about prospecting. Specializing your sales people is the idea that if you’re not doing it, and it means having prospectors that prospect, which is separate from the closers who close, which is usually separate from sales roles, other roles handling current customers sort of having more types of sales roles while doing fewer things better, but that is the number one thing to do to make everything work better including, sales people, lead generation, and the whole company. But people will say doing that transformed our business. Well that indeed is a great book! I had a chance to read it a couple of times myself and it really makes sense. As you said Its simple ideas but they work! Organize leads the way you specialize the sales team; it makes a lot of sense the book was written five years ago right? What’s changed since then? It’s interesting that a lot of the lessons that I’ve learned over the last few years, you know there’s a new book coming very soon called “from impossible to inevitable”. A lot of the lessons I and my coauthor, Jason Lemkin, have learned over the past years. So Jason founded a company called “EchoSign” and sold it to adobe for more than 100 million dollars and grew it from zero to more than 100 million in revenue. So it’s not so much thing the way people are buy things and selling and generating leads are evolving, say the number one lesson that’s in the new book that I think everyone is going to need or I see everyone does need both individuals and companies isn’t so much how people buy or sell but we call it how to nail a niche. So its understanding why if you have an idea, why aren’t people excited about your idea or product? Or you talk to friends, you get ten customers and try to get 50 more, it stops working whatever you’re doing. So its this idea of why is there this problem with your first customers, or from getting from zero customers to a few and from getting a few customers to a few dozens, that phase to actually being able to grow faster. So explain why there is a problem, why there is this chasm and what to do about it, because if you can’t nail a niche, everything you do is going to be a struggle. Yeah totally, so I read the draft of the book with Jason Lemkin and I really loved it, and I really liked the idea of nailing a niche especially in the early stage of your company it makes sense. But I do question myself when we talk about start ups right especially when planning to raise money VC’s usually tend to force you to look to the broader picture to target a big market. I heard Jason talking about a hundred-million-dollar business a couple times already do you believe there is a number to be targeted in terms of the size of the market you are going after. First with Jason. His audience is a lot of investor funded companies who want to grow big and grow to one hundred million dollars in revenue or more. Now I have heard and think wow I have a million-dollar business or two hundred-million-dollar business and I don’t want a bigger business, there is this pressure to grow. So I think for some people in some companies, great, if you do want to grow big, 50 or 100 million dollars or bigger. But there’s lots of companies like where you are in brazil or where I am in LA and people don’t want to grow that big but they want predictable income and stability and a great team but they aren’t on the hyper growth track where it means to grow as fast and as big as you can no matter what. In terms of market sizes if you’re going to raise money from investors, they want to know you’re not limited by your market. Nailing a niche doesn’t mean your thinking small, it means you can have an idea to address a large market but wherever you start is where you’re being focused. So its not about being small its about being focused. A common thing is having a product or an idea, might have some customers, and again you’re spreading your marketing and sales across to many amounts of people and customers and you’re just spreading your energy around and not focusing on the few customers that need you the most because you want to find the customers the need us versus when are we nice to have. Everybody could use us, but only the ones who need you are going to put in the time and energy to learn about you, get started, buy it, and actually implement it and train people to make it actually successful. Focus on where are you a need to have. Totally! I couldn’t agree more. It’s the vitamin versus pain killer thing right? So about Jason, I’ve seen you two working together lately really seems like a productive partnership and I’d like to know in what circumstances did you meet him and where did the idea for the notebook come from. I met him in 2007 when I was an entrepreneur in residence at a venture capital fund at paualto I don’t remember how I met him but we were introduced. His company EchoSign was still early at that point I thought it was a great idea, I liked him. We didn’t really talk till 6 years later. He had sold EchoSign to adobe and he started to do some blogging. I saw his blogs, I liked him. At some point I reached out and asked him if he was interested on being a coauthor on a book together. He said yes. He was more of a writer and I am more of an author. Together we put our stuff together as a package. Doing a book is frustrating and fun at the same time. How do you take the smallest amount of content into something specific? Its been a great partnership. He’s doing great and I am a bit jealous. His conference has taken off. Cool, awesome, so you mentioned EchoSign and adobe here. And there is a very interesting point around that, tum Tonga is from red point ventures, wrote a blog post a few months ago saying that although were talking about SaaS for a decade now, were still at the beginning. Over 93% of their revenue are still controlled by the traditional legacy software vendors like oracle Acp and Microsoft etc. We see adobe being a successful case of transition from a traditional business model so my question is how do you see that movement from the traditional companies and how that an effect opportunities’ for SaaS startups out there. There’s a book called the innovators dilemma that says, once you’re a successful business its hard to switch directions to do a competitive business or a business that can cannibalize. That’s where a lot of companies are making the shift. It’s a huge financial change for companies especially a public company that says this year we’ll do a billion dollars in software deals. Switch and say were going 100 percent to subscription, instead of a billion dollars this year, we’re going to 200 million. We’re going to lose 80 percent of our revenue into a subscription model. It doesn’t work, there’s other reasons like technology, culture, the way people sell. Their actually different businesses in a lot of ways. Its taken years I think for companies to figure out how to make that kind of transition. The bigger they are the harder it is. Lots of companies sell both on premise software and subscription. There’s not really one model that fits everything. Not every business should be a SaaS business. Whatever the problem is your solving, you don’t want to be a subscription just because its subscription but what’s the best way to solve it for customers and for yourself. Sometimes it might be on premise but commonly its on subscription. The more choices there are, it can be harder on entrepreneurs and I know salesforce.com from the early days said no software, for example, they maybe had the chance to complete if they had sold all their licensing to Meryl Lynch for their on premise they said no to it, stick to what their best at and the market understood and agreed with it. Yep, what I found really interesting is not just a new way to build software but to sell it. Adobe creative clown like Photoshop, you still need to install it on your desktop computer but its sold as a subscription model. Like Microsoft office 365. There’s some blending of that and I think It comes back to the customers want and what they need and what is going to make them successful and what’s good for you. Cool! Great! Going back to your book, I really liked it, one part resonated with me. It says there is not recipe for success you guys mentioned a lot of SaaS companies that did that have in common and worked out. That helped them achieve hyper growth. Is there one special thing that companies out there should be paying attention to or looking for? Nailing a niche. Coming up with something that somebody or a company needs. How to deliver it. You know how to find them. It sounds easy, sometimes it takes companies a couple of years to get to your first million in revenue. Okay we’ve got core customers down and our product and messaging down and were ready to grow. Even Jason in the new book, there’s a section that says “you need to give yourself two years before you know if its going to work”. Yep, Don’t give up on a bad day! So that’s one, the second thing is if you want to grow, you have to want to grow. It’s not just going to happen by default. So that means pushing yourself to do things that are out of your comfort zone. If you’ve been doing a services business for ten years and you’re not growing, maybe you need to start a new kind of program. Maybe you need to write a book for yourself, or create a software service. Do something different. A lot of companies are held back because they’re comfortable. You’re not going to get growth by doing a lot of the same stuff. So if you really want to double or triple or grow by ten times your going to do things different. Get out of your comfort zone, get uncomfortable, and think bigger. Yeah! I know another thing you said “you can’t build a big business out of small deals” people should double their deal prices. Companies tend to under price their products and when they grow they struggle to raise prices. Id like to know what your thoughts are on SaaS pricing on terms of free models, free trials, and expansions and etc. These seven sections of the new book, each one is a painful truth. The fourth is its hard to build a big business out of small deals. So if you’re starting a company, you start with whatever you can get. You want to get a few customers just to see what the business is going to be like and get started, but as you grow and you put up an app or a book or some post and it goes viral and suddenly you’re overwhelmed with leads. Once you’ve got your core customer product down, figure out not only how to generate more leads for that but increase the deal size. How do you go upmarket as soon as you can tell sell bigger deals? If you can sell a fifty dollar a month app to one person, but you can change that to create a team version plus add more features so maybe you can sell a package of five people for five hundred dollars a month, and if you’re selling to teams, companies, generally once you get away from the really small customers, those smaller customers tend to have a lot higher attrition and more problems. As you go upmarket to teams and bigger companies, who are willing to pay upfront, or to do longer contracts. They’re usually willing to put more resources, there’s more commitment. The customers end up being generally happier they stay with you long and you make more money. Yeah. We’ve seen companies like box who started serving mass MB’s and overtime moved to serve certain enterprises and it makes sense right? But what about freemium models. Specifically, how to I get freemium models. You know if it’s a business and you’ve got investors and you need to have a lot of revenue, generally freemium I think, needs a lot of people to make it work. In the book, Jason says you need tens of millions of people to make freemium to work as a financial model, or a hundred million users. So I think freemium, if you’re a small company, and you want some extra lead generation and maybe you’ve got some other higher end things to sell you know it could be consulting or software it could be a good thing to try, but its harder than you think and people realize that to turn freemium into something that really creates a fast growing business. So a lot of times if you have, especially in SaaS, a two-week free trial, you get to try the product then it stops, and then you have to pay. I think that’s more effective in business to business generally. Yeah, and you mention professional services, I believe it is a very controversial within the software industry. Its not scalable, we have tight margins and I believe that VC’s make entrepreneurs skeptical about professional services. I personally believe there is a healthy mix between services and product, especially in services around your product or your platform. In terms of sales, what do you believe the differences are between selling professional services and selling your software product. 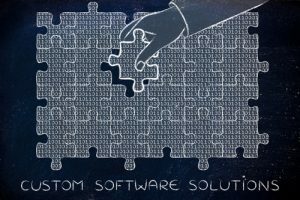 Generally, if you have a software business, professional services are incredibly valuable. I think in Silicon Valley, some people have picked up this idea that you want to avoid services, like professional services are bad. It means the product isn’t fully ready. The company isn’t scalable; the VC’s aren’t going to like it. There is definitely people that think they don’t want any professional services. Its totally wrong. A software company should add them just to make money, but they can be the best way to insure that your customers are successful. So your internal people are becoming expert people at whatever you do. Hub spot has services internally to make sure customers are deployed successfully. Whether its free, included or paid, make sure they are deployed and know how to market. They can earn extra money that way. In terms of the people who are doing that are becoming better and better and better at being experts. So I think its incredibly important and vital to have professional services of some kind, but you have to have them. Indeed. So as you know here at Saasmetrics we help companies around the world who grow their new career avenue by giving them insights and accurate business metrics. When it comes to SaaS sales, what are the metrics you like to keep track of and would suggest people to pay attention to? Well beyond things like revenue, the number one best leading indicator of your growth is okay, say you’ve got a business, you’re selling something and you’re selling something regularly. You pass maybe ten customers but your into a few dozen or more, you keep track of the amount of the qualified pipeline created per month the better. We call it pipeline creation rate. Sometimes we call it lead velocity rate, but I think its confusing. If we’re creating half a million dollars in qualified pipeline this month, 750 thousand during next month, and then a million, that’s the best leading indicator of revenue. If you can create qualified pipeline, the revenue will come. Assuming other things are equal. So that’s one I think is one of the best metrics. Another one is incredibly important is called attrition or churn. At what rate are customers leaving or churning. The ones that stay, do they buy more. There’s logo churn, which is the number of companies leaving and there is net revenue churn which is on the revenue dollar amount how much are you losing or gaining per year. Stuff you probably write about in your blog. Those are two number, the two most important ones that we actually have sections in the book about it. There’s another section in the book about let’s say more classic sales numbers. Things like close/win rates. Numbers of opportunities per salesperson. The point is its not about these are the number you need to track. The point of the section is look at them in a different way. Higher win rates aren’t necessarily a good thing. Low win rates are a bad thing. If we use X and Y what changes so there are situations where a company has a win rate that is 20 percent of their pipeline and a company has an 80 percent, which one is better. What if the 80 percent win rate is all referrals because they don’t like to spend money on marketing. So it’s a much smaller growth rate. If it’s the 20 percent growth rate, they’re much more aggressive to selling and marketing. So again they are different. Its having an insight on judgement and not numbers. Incredible, so Aaron the book from impossible to inevitable went out on February the 8th, correct? Yep, and at some point we’ll have a brazilin version. Leo here offered to translate the first chapter! So you can ask him for it. But yeah we will have a version in Portuguese at some point for Brazil, just can’t promise when. The next one coming out in China funny enough. Wow! Okay. So if people want to buy it, we can find it on Amazon right? Yeah its fromimpossible.com, you can find links from amazon.com and it may show up on the brazilin stores on amazon but I’m not sure how it works. I know predictable revenue is on amazon brazil. I know a lot of fans in brazil. I appreciate it everyone and thank you Leo! No thank you! Thank you very much for being here and your time. It was a really great conversation. Once again congratulations on your new book and that’s it! Until next time!